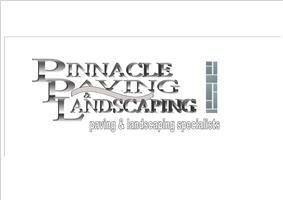 Pinnacle Paving and Landscaping - Driveways/Patios/Paths, Landscaper based in Stubbington, Hampshire. We are a professional blockpaving and landscaping business that cover areas such as Southampton, Portsmouth, Fareham and all other areas of Hampshire. With over 25 years experience in the landscaping/construction industry. Customer satisfaction is paramount, this is the key to good recommendations through word of mouth from our previous customers. Block Paving : Patios : Brickwork : Driveways Southampton, Portsmouth, Fareham, Titchfield, Botley, Havant, Portchester, Whitely, and Locks Heath. Botley and Hedge End, Fareham, Locks Heath, Lee-On-The-Solent, Gosport, Portsmouth, Southampton, Whiteley, Warsash, Chandlers Ford, Eastleigh, Lymington, Lyndhurst, Winchester, New Forest, Hampshire.